Mama Pawlish and i headed to the grocery store today to buy supplies for Thanksgiving! i'm so excited, i love Thanksgiving food :) there were lots of people there... but nobody compared to what it would be like at the Virginia Beach commissary today. that was really nice, i didn't miss waiting in a line that snaked through the whole store one bit! 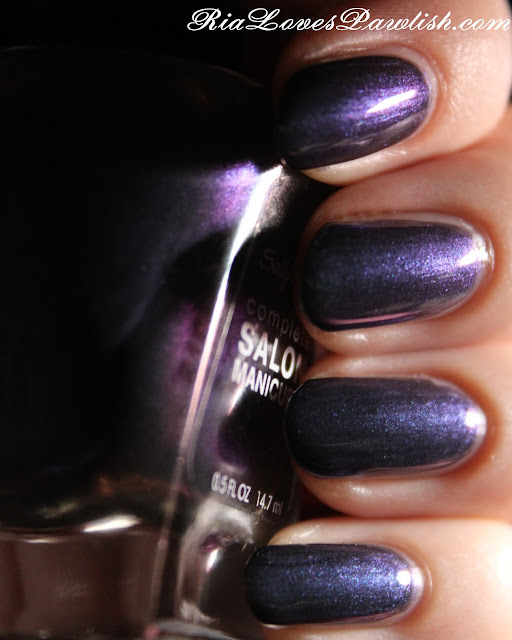 two coats Black and Blue, one coat Seche Vite. I like this one, your nails look great! Found Some Color Club Sets at Ross! Pixi Holiday Nail Colour Trio! It's a Black Friday Haulageday! Butter London Friends & Family Event!